Are you wanting to work on the character of your children? The word of the week in our character development series is “diligence.” We explored this concept with the old Aesop fable “The Ant and the Grasshopper.” The first thing I did was find a good version of this fable online. Here is the link to the story. I read the story to the kids, and we had a short discussion about it. It is a really good story to discuss some really tough questions. What is the morally correct thing to do? Should the ants have shared with the grasshopper? On a deeper level, it can all tie into a discussion about our welfare system. Does it work? How do we truly help people? Those questions are a bit heavier than I really wanted to address with my kids today, but we did have an interesting time exploring it a bit. 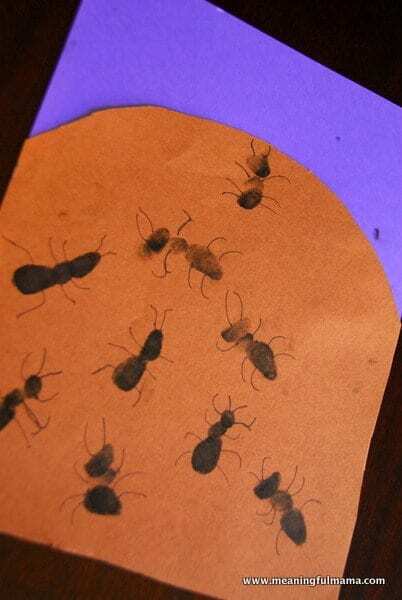 After our story and lesson, we pursued a craft where we made ants out of our fingerprints. Side not: if you are wondering where Kenzie is during this lesson, she’s pitching a fit upstairs. She didn’t get to participate because of her behavior right before this activity. Bummer. 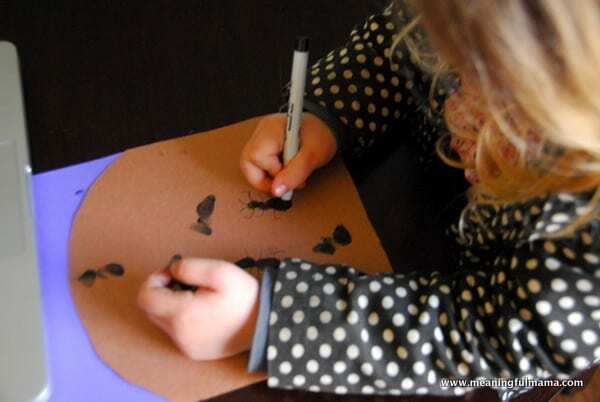 The first thing Abby did was draw out her own hill and cut on the line she had drawn. 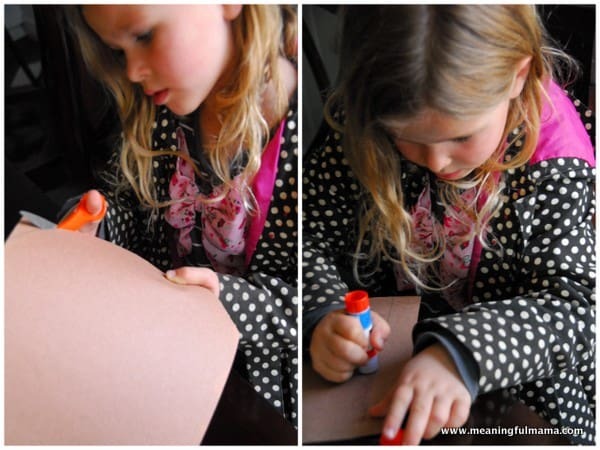 She then glued her hill onto the blue paper. 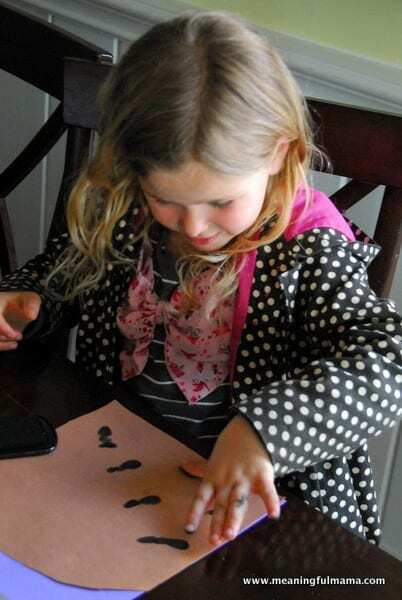 The next step is was make little fingerprint ants with a black stamp pad. We used her thumb for the abdomen, the tip of her pinkie for the thorax and her pointer finger for the head. After we washed off her hands, she was able to draw in the legs and antennas. She was looking at an image of real ants on my computer so she could get it right. It was a fun little project that she really enjoyed. Maybe I’ll do it another day with Kenzie when she has a better attitude. An excellent lesson. Thank you for sharing! 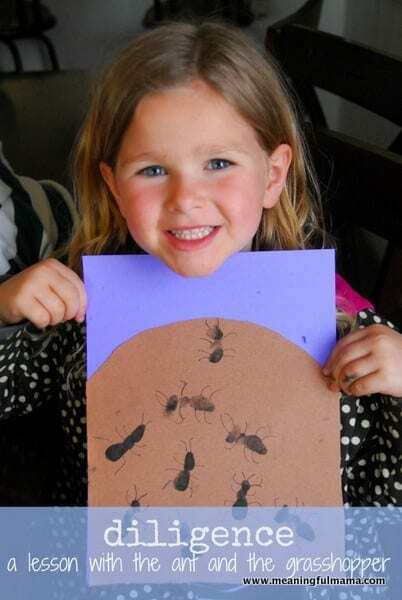 I love your ant artwork.